Colt .45 ACP Model 1911 etc. RCMP Musical Ride 2013-08-24 Langley, B.C. RCMP Musical Ride 2013-08-28 Richmond, B.C. RCMP Musical Ride 2017 Burnaby, B.C. From the photo album of Captain William Arnott Stevens, 19th Lincoln Regiment. This was taken at Camp Niagara, near St. Catharines, Ontario, Canada. Album is in the collection of Captain Colin Macgregor Stevens, eldest grandson of W. A. Stevens. 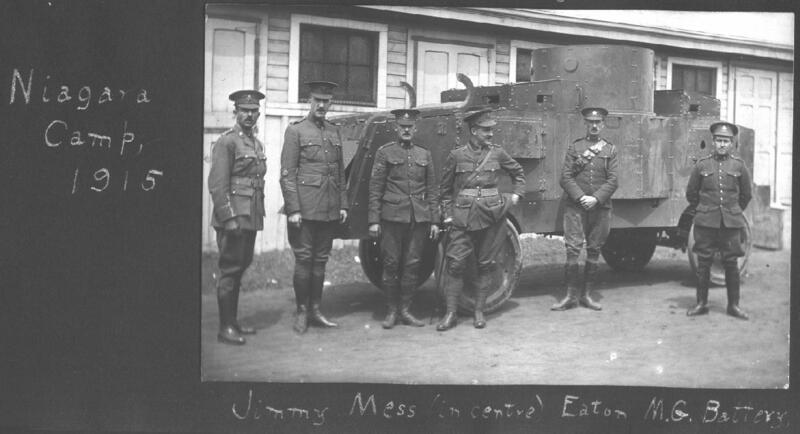 The Jeffrey was a U.S. built armoured car. Specifications are not really known. 1 x Vickers .303″ machinegun in turret. 4×4. maximum speed about 20 miles per hour maximum (a slow speed). Anything over 12 m.p.h. gave trouble with engine fans and bearings. The narrow wheels with solid rubber tires would have hampered its cross-country performance. Petrol consumption = 5 miles per gallon (very poor). Electric lights and starters. Car could also be started with a crank from outside. Twin steering. “The gunner occupied the central turret, the driver and car commander sitting in front while the co-driver and a spare crew member faced the rear. Observation from the car was limited. Some of these cars were apparently used in India. The US Army called it the Armoured Car No. 1. At least one was used with Pershing’s force on the Mexican border.